Shepherd Offshore is a leader in the provision and management of transport solutions. Our logistics division includes both our in-house transport fleet and warehousing and storage provision. We focus on assisting our clients to improve planning, safety, efficiency and optimize the time management of their projects. For over 40 years, the company has supported all sectors of industry with Transport & Logistics solutions for client supply chain needs. With safety at the center of everything we do, backed by experienced and skilled operatives, we aim to deliver a first class service. 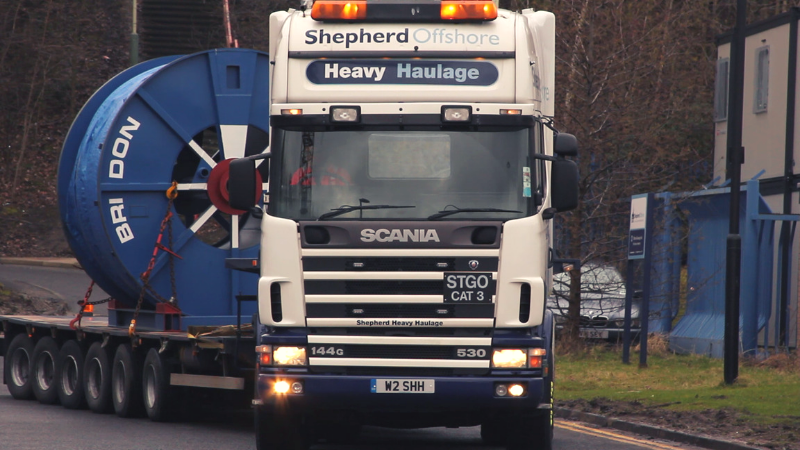 With a fleet of versatile trucks, trailers, low loaders, & semi-trailers for normal & abnormal loads supported by specifically commissioned equipment, as well as dedicated customer services, planning, forecasting and management teams, Shepherd Offshore are extremely well rehearsed and capable in carrying out your various transport needs. We pride ourselves on being versatile; whether you need a one-off scope or full project support, we have the people, capability and capacity to meet your needs. Heavy abnormal transport routes link both Neptune Energy Park and Offshore Technology Park and provide direct access to major trunk roads, permitting the transfer of products of up to 400 tonnes between facilities.